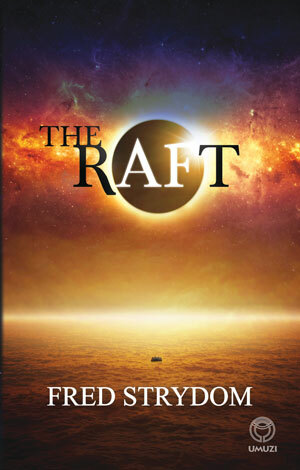 Fred Strydom’s debut novel, The Raft, is an intricate blend of myth and fairy-tale, introspection and adventure. Books LIVE recently chatted to the author about his book, which is set in a post-apocalyptic world where people have lost their memories; their connection to the world and the people they once knew and loved. In The Raft, Strydom created a world that closely resembles our own, yet is stripped down to the bare elements of nature – the sun, the sea, the sand, the landscape. Within this world, devoid of internet and air-conditioning, he imagines a regime guided by the principles of The Age of Self-Primary, which embraces this new life and its detachment from material things and familial bonds. 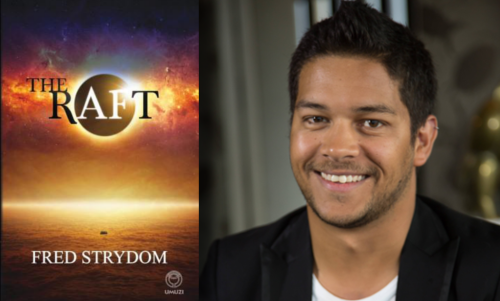 In the second part of our interview we speak to Strydom about the rules of world building, the authors who shaped his inner storyteller and the “what if” nature of speculative fiction. How do you approach world building? What are your rules? I don’t really have any rules, except to say that it’s important to be honest about how your fictitious world works. Your world needs to make sense. As far-fetched as your made-up world is, it needs to feel as if it has evolved over time instead of been conveniently composed for the sake of the story. In the case of The Raft, I definitely wanted to create a sense of vast space between things. I think the reason the world feels small to us today is that we’re so intensely connected to each other. You’ve got someone in Canada and South Africa laughing at the same internet meme at the same time: it’s like we’re in the same room. Also, air travel has become more commonplace, and is relatively affordable. If it all ended – the internet and the easy travel – I think the world would go back to being very big, and might not even feel as densely populated as it does right now. I imagine the elements would also re-enter our peripherals: the sun, the weather, the oceans and landscapes. With our air-conditioners and light-bulbs, I think we’ve become more detached from the elements; they no longer dictate our day. In that sense, I wanted the raw natural world to serve as the primary backdrop for The Raft. The way you weaved together all the different narratives reminded me of David Mitchell’s Cloud Atlas. Which books or authors do you tip your hat to in The Raft? Stephen Fry said your first book is the one that takes the longest to write because it’s the one you’ve spent your entire life working towards. In that way, I’ve been hoarding bits and pieces for The Raft since I was a kid: the twistiness of Roald Dahl and Jeffery Archer. The pulpy noir of James Hadley Chase. The techno-paranoia of early Michael Crichton. The atmosphere of Thomas Ligotti and HP Lovecraft, and some of the dreamlike frankness of Haruki Murakami and Jonathan Carroll. I’ve only recently got into David Mitchell, and am really enjoying his work, having just finished Number9dream and The Bone Clocks. He’s very, very good, and far trickier and more dexterous than I am, I think. 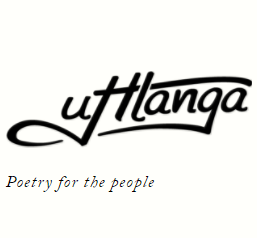 Let’s talk about The Age of Self Primary – you basically wrote a manifesto! How did you come up with that? Christians say the greatest trick the devil pulls is convincing the world he doesn’t exist. And I think this is true in many non-literal ways. What I consider to be evil is when we’re sold something that’s bad for us under the guise of it being good for us. And The Age of Self Primary is really just a twisted reworking of powerful, enlightened principles – principles of detachment, the abandonment of desire, the oneness of all things and living in the elusive Now – used by the book’s antagonists to attract a number of followers. All I had to do was think about how these teachings could be perverted as mechanisms of control and manipulation, which led to the regime’s nasty little manifesto. At this year’s Kingsmead Book Fair you said that the label “escapism” detracts from the message of novels. Please elaborate on that. Ha, there’s nothing wrong with escapism. It’s just that labels have a tendency to undermine things. My statement was more against using “escapist” to define certain kinds of fiction. It implies frivolity and mindlessness, and sci-fi has always had a bit of a raw deal anyway. Some people think it’s all about laser guns and aliens. What about the meditation on evolution in Arthur C Clarke’s 2001, or the totalitarianism of George Orwell’s 1984? Even a manic, bloody blockbuster like George Miller’s Mad Max has a surprising amount to say about the new war on misogyny. The irony is that no other genre has given itself as much freedom to address the biggest of all themes and issues. When it comes to international authors, I’m always ready to grab the new Haruki Murakami, Neil Gaiman or David Mitchell … because they’re unpredictable writers and so deeply in love with their craft. 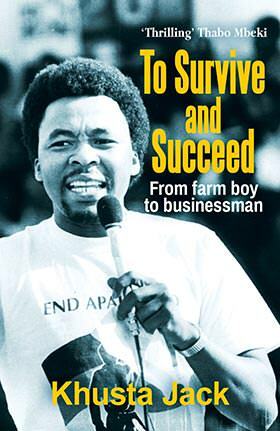 Locally, I’m tackling a few of our modern classics, having just finished and enjoyed JM Coetzee’s Waiting for the Barbarians and Nigerian author Ben Okri’s The Famished Road. I’m really looking forward to SJ Naude’s The Alphabet of Birds and Tales of the Metric System by Imraan Coovadia: I’ve heard good things and they seem right up my alley. You once said that science fiction is just “what if?” fiction. How many more “what ifs” do you have up your sleeve? Hah, well, I think I could “what if” all day. The easy part is coming up with the basic concept. What if gravity fails on us? What if no more human males are capable of being born? What if we all go deaf at the same time? The hard part is what to do with the concept, committing ourselves to exploring what such-and-such event would mean to those involved. Children of Men by PD James explores the idea of global infertility in an awesome and believable way. The Age of Miracles by Karen Thompson Walker parallels the hi-concept of the earth losing its rotational spin with a young girl’s coming-of-age story. I have a few “what ifs” of my own to still tackle, but nice try, I won’t be giving them away that easily.